The 70s era set show is set to hit screens next year. 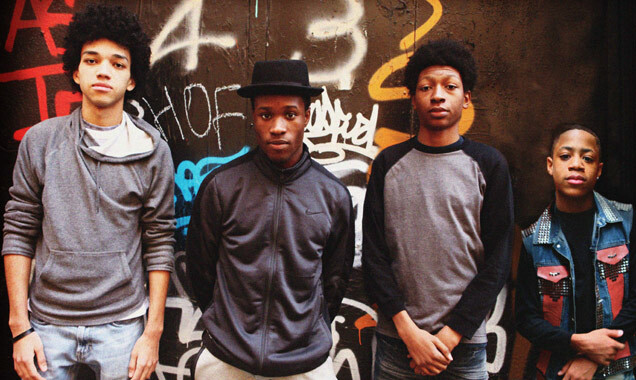 From the man who brought colour to Paris, Australia and fair Verona comes 'The Get Down'; a Netflix Original Series created by Baz Luhrmann which illustrates the lives of four teenagers living in the Bronx in the seventies - with as much vibrancy as you've ever seen from this celebrated director. 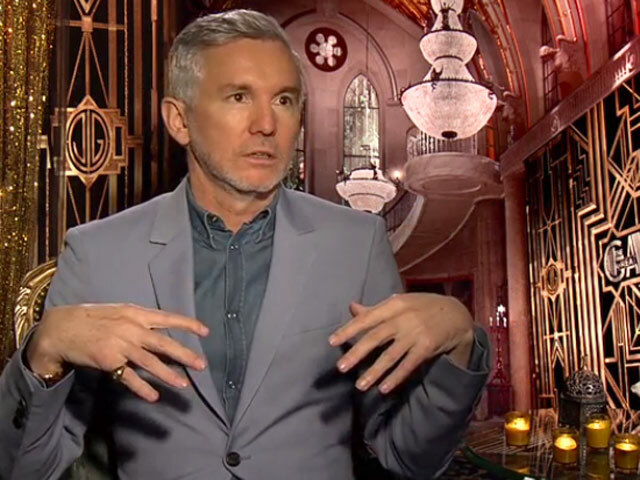 He's known for bringing a certain iridescent quality to stories for the big screen, but now Luhrmann is settling down for the small screen with his first series: 'The Get Down'. The director - whose last film was an adaptation of 'The Great Gatsby' starring Leonardo DiCaprio - has now unveiled the leading male cast for the upcoming Netflix series, which is awash with up and coming talent. So, Why Did Leonardo DiCaprio Get Knocked Back By Cara Delevingne? Leonardo DiCaprio did his best to woo Cara Delevingne, to no avail. Leonardo Dicaprio has certainly racked up an impressive number of supermodel girlfriends over the years, though British Burberry star Cara Delevingne isn't one of them. According to The Sun newspaper, Cara snubbed the Hollywood A-lister at the after-party of the Great Gatsby premiere at Cannes last week. A source said: "Normally all Leo has to do is look at a girl and they fall at his feet. Though Cara was having none of it.He spent the night chasing after her and essentially she blew him out." The insider says the pair spoke for a while and eventually swapped numbers after Leo had invited her to a party back at his suite. "He tried every trick in the book and apparently kept lunging for her but she kept dodging them," said the source, "Everyone is howling at the fact she actually knocked back the biggest actor in the world.She thought he was too forward and too old." DiCaprio - who stars as Jay Gatsby in Baz Luhrmann's reimagining of F. Scott Fitzgerald's classic novel - has previously dated Gisele Bundchen, Bar Refaeli, Erin Heatherton, Anne Vyalitsyna and Eva Herzigova. Delevingne, who previously dated the folk-rock musician Jake Bugg, is said to be moving in with best pal Rita Ora in East London later this year. Continue reading: So, Why Did Leonardo DiCaprio Get Knocked Back By Cara Delevingne? The Hollywood Reporter says women are flocking to the cinemas to see The Great Gatsby. This wasn’t in the script. 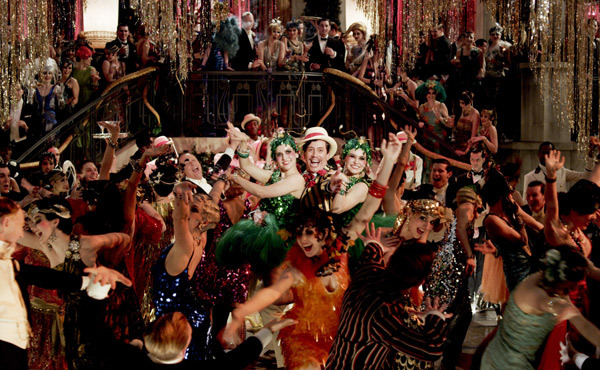 Baz Luhrmann’s adaptation of F. Scott Fitzgerald’s classic tale of the roaring twenties, The Great Gatsby, was one of the most anticipated movies of the year. With a huge budget, an all-star cast and various exotic filming locations, Gatsby was supposed to be the film of 2013. Hell, it was even supposed to be the movie that won Leonardo Dicaprio that elusive Oscar for best actor. Sure, that could still happen, but it's hugely unlikely. Tobey Maguire says he didn't feel too much pressure to meet the expectations of F. Scott Fitzgerald fans. Tobey Maguire says he was genuinely excited about playing Nick Carraway in Baz Luhrmann's The Great Gatsby, despite the intense pressure. "I was thrilled. It's certainly one of the great iconic American novels. I don't really consider that and get fearful or intimidated. I get excited, because it's fantastic material. I lived with it for quite a while and got the opportunity to read many section of this book," he explained. The early reviews of the big-budget new movie have been mixed, though critics appear to agree that Maguire's performance is one of his strongest in years. 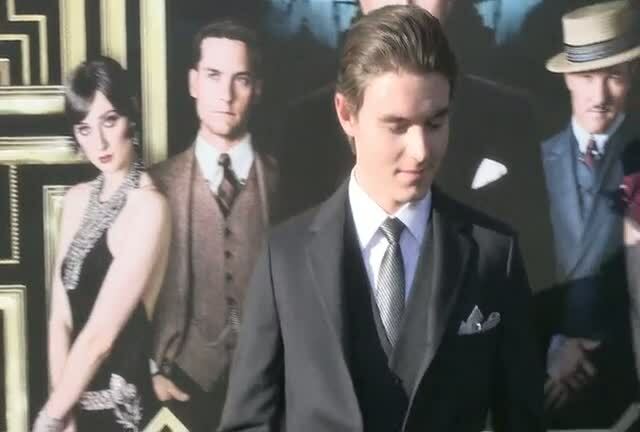 The actor explained how he got into character for Nick, saying, "We did look at some stuff around Fitzgerald's life and some of his other writing. Some time has passed and he [Fitzgerald] is processing his feelings thought and experiences of what happened over the summer." In a recent interview, Carey Mulligan talks at length about her latest role in the Great Gatsby and what the whole experience meant for her. In a brand new interview, Brit-actress Carey Mulligan discussed her latest role in Baz Luhrmann's adaptation of F. Scott Fitzgerald's classic novel The Great Gatsby. In it, she discusses how "daunting" the whole experience of working with Luhrmann and the film's star Leonardo Di Caprio was, and how she always knew that she would be an actor some day. The rising star explains her in-depth research for the role, including getting to read the letters and diaries of Zelda Fitzgerald and Ginevra King, whom the role of Daisy Buchanan is based. Her emersion into the character didn't end in her research either, as the actress looked the part throughout the film, being dressed in exquisit jewellery throughout filming, something that gave her more attention that she may have anticipated. She said, "There was a man who used to follow me around when I was wearing the Tiffany’s jewellery to make sure I didn’t [steal it] and everytime I made a joke where I’d accidentally drop it down my blouse, he would stare at me with daggers." 'Moulin Rouge!' 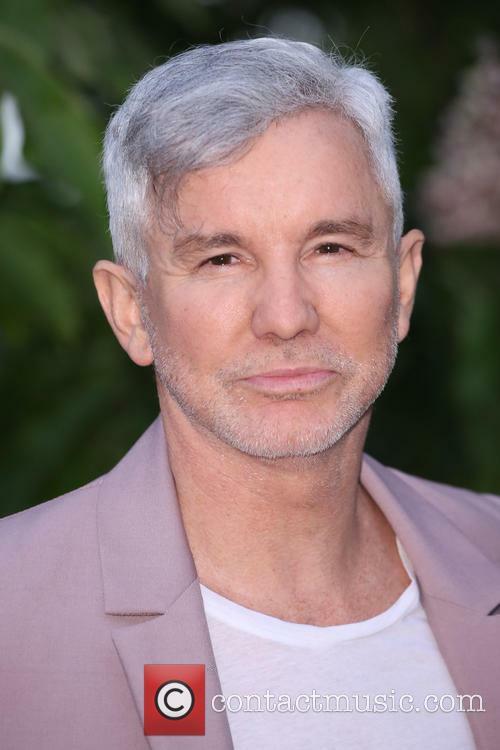 director Baz Luhrmann discusses his new movie 'The Great Gatsby' in an interview and talks about how his ideas come to life, why he chose Leonardo DiCaprio for the role of the title character, why the 20s still speaks to people today and his relationship with his producer wife. As the film's release approaches, the cast and director are just as excited as fans of the novel. The upcoming release of the highly anticipated The Great Gatsby, due to hit theatres on May 10th and the Cannes Film Festival on the 15th, will see Carey Mulligan in what is arguably her first big budget flick. The actress has made a name in cult favorites like Drive and An Education, but the Gatsby experience was a different one altogether, she says in an interview with the Detroit Free Press – not least of all because it personifies the luxury of the Jazz Age. “To be wearing literally millions of dollars worth of jewelry every day really lends a quality of elegance, in a way. You feel very kind of expensive when you’re walking about. I’ve never experienced anything like it,” says Mulligan, speaking by phone from London. You can definitely see what she means, even by the trailer alone (which you can watch below). But, while the film’s actors and creators are going all out for the adaptation of the so-called Great American Novel, Aussie director Baz Luhrman has also put in every effort to keep the details of Gatsby completely faithful to the reality of the roaring 20s. 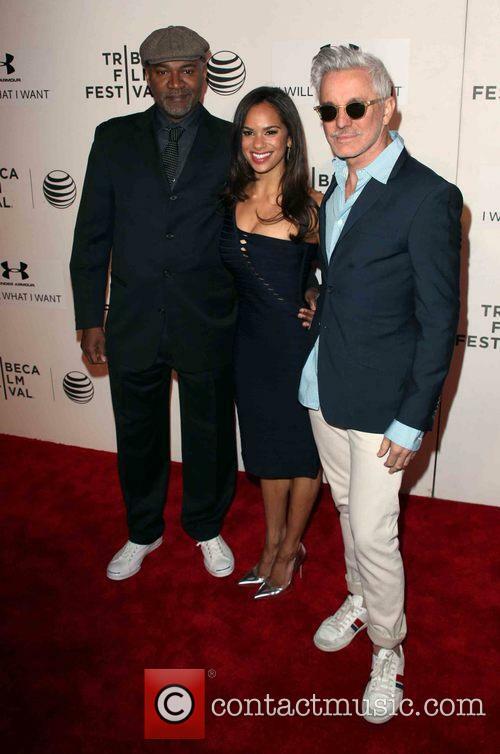 'The Great Gatsby' premiered at the Lincoln Center in New York. Arrivals included one of the movie's stars Joel Edgerton, director Baz Luhrmann with his wife Catherine Martin and Florence + The Machine's Florence Welch who is snapped signing autographs for a crowd of fans. 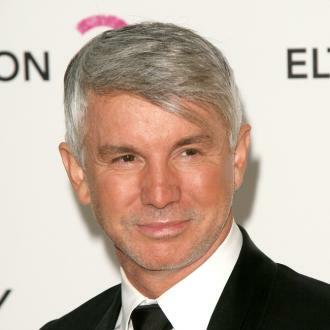 Baz Luhrmann to direct Kung Fu?